If I install it on a computer that has a myRIO and all appropriate software (RT, FPGA, RIO, etc), we get the project creation dialog where we need to select the myRIO (or select a generic target if it is currently not connected) until we can proceed (else [Finish] Is greyed out). For fun I installed it on a machine that does not have any myRIO or FPGA stuff installed. The packet still installs fine. 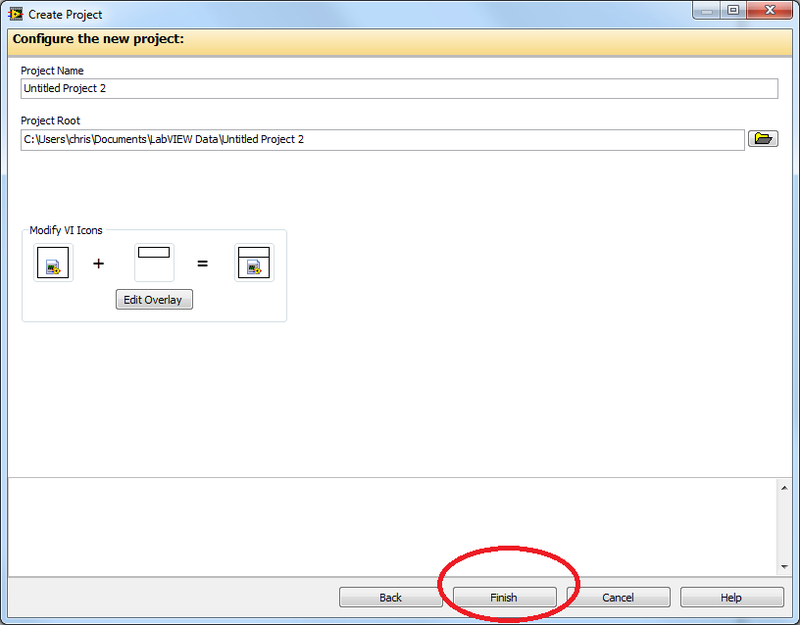 In the "new project" dialog, it is the only "sample project" listed under myRIO. At the project creation dialog, the area where we typically select the hardware is completely blank. Curiously, I can proceeed to the next screen. If I press [Finish], it does a lot of searching, but then actually creates a project. The created project folder only contains the lvproj file and the documentation folder, everything else is missing (none of the VIs are there, not bitfile, no bitfile folder, etc. This seems rather useless. Shouldn't [Finish] be disabled if no hardware is possible?